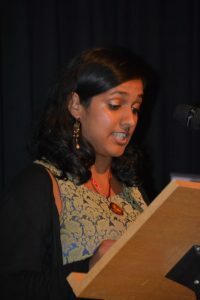 The 2014 SI Leeds Literary Prize was won by Mahsuda Snaith for The Constellation of Ravine Roy, with second prize going to Season Butler for Hanging from the Hammer of the Bell and third prize going to Anita Sivakumaran for The Queen. The SI Readers’ Choice award for the favourite entry as chosen by some 20 Soroptimist International members went to Kit de Waal for Blue in Green. Many congratulations to all our shortlist and our winners! Find out more about our shortlisted writers, and read extracts of their shortlisted works, here.